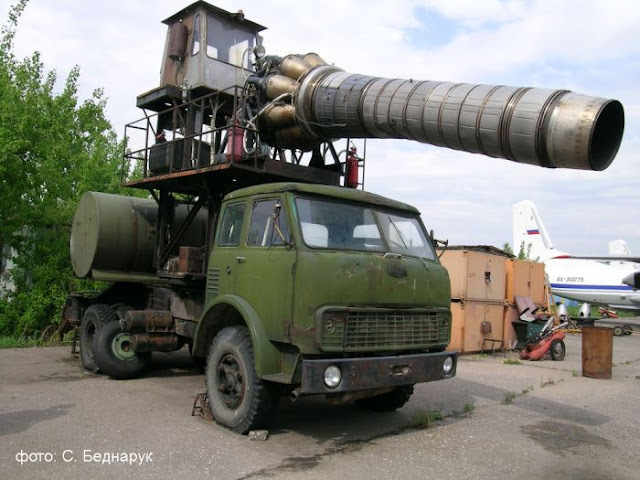 The picture of a rusted Soviet truck with a mounted jet engine (see our recent Biscotti issue) provoked lots of interest from our readers, so we decided to make a full page about such monstrous machinery. First of all, full disclaimer - they're not dormant Decepticons or armies of malevolent AI ready to tackle the world at the first notice. 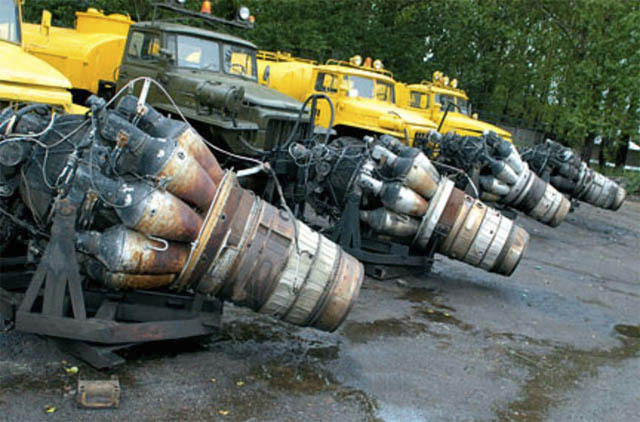 They are simply snow-blowers and jet-dryers used at some Russian airports, like the ones shown below - with Klimov VK-1 engines taken from MiG-15 planes. 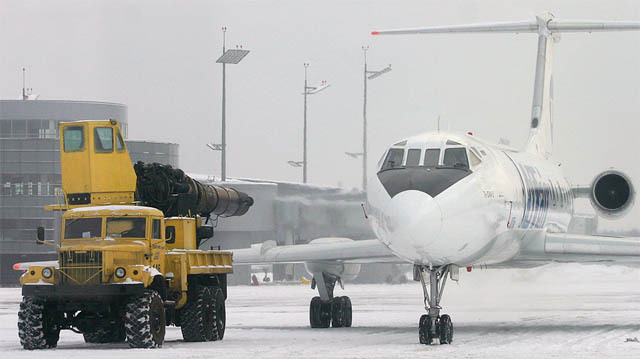 These machines are still used to remove snow from runways, and in some cases, for de-icing of planes in Russia. The engine is a MiG-15 or MiG-17 radial compressor engine with a lengthened jet exhaust. NASCAR uses jet dryers to dry race track after rain .. here is a video of one that blew the asphalt apart. Some our readers suggested that such jet-equipped machines could've been used for extinguishing oil well fires, for example in Kuwait (with water injected into a jet turbine for fire suppression). The reality turned out to be even more fantastic: Hungarian inventors actually attached a couple of jet engines to a tank's turret! See the amazing video of this tank monster in action. 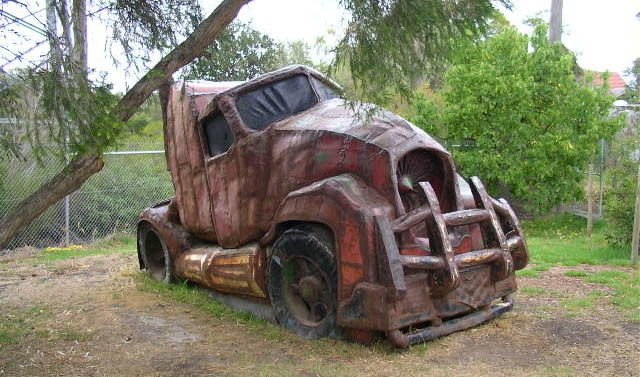 According to WebUrbanist, it houses the largest turbine motor in a land vehicle anywhere in the world, which is so big that water tanks had to be removed from the vehicle... which renders the whole effort pretty useless in real life situations. 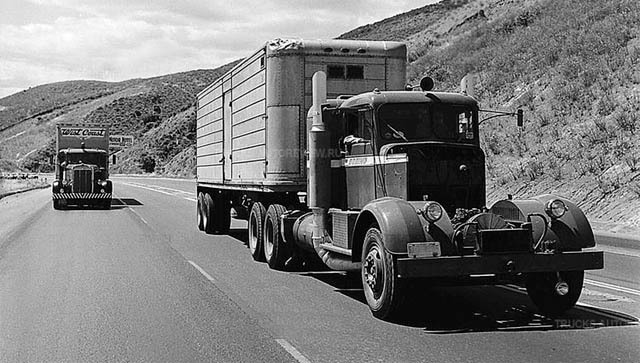 it almost looks like this Kenworth truck (a gas turbine prototype from 1950) is driving without a motor - due to the extremely low profile of a turbine inside. 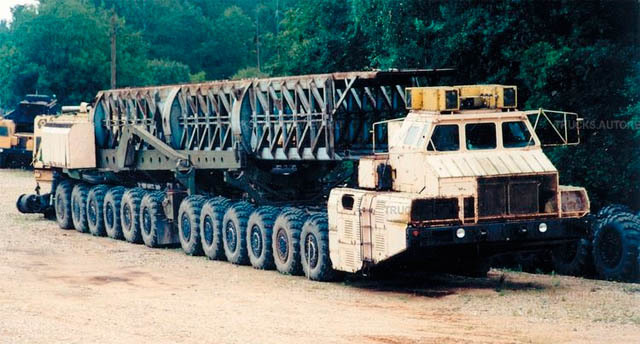 The turbo-engine produced 1250 h.p., giving this "truck" a maximum load of 150 tons. 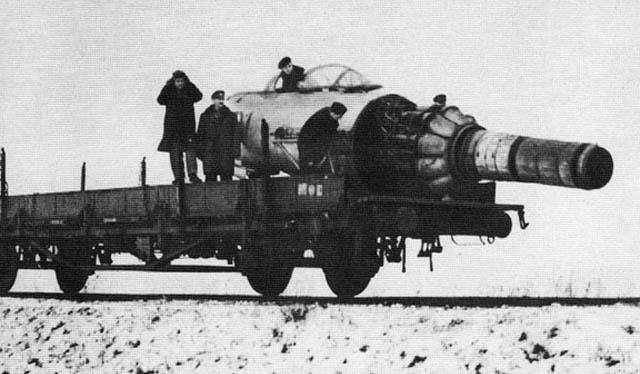 By the way, Russia even had jet-powered (gas turbine) tanks during the 1970s - T80 went into production in 1976. 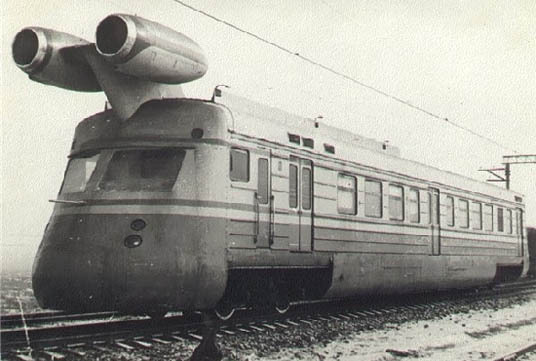 We wrote about Jet Train idea and its implementation in Russia and U.S. before (see our article Jet-Powered and Other Futuristic Trains). 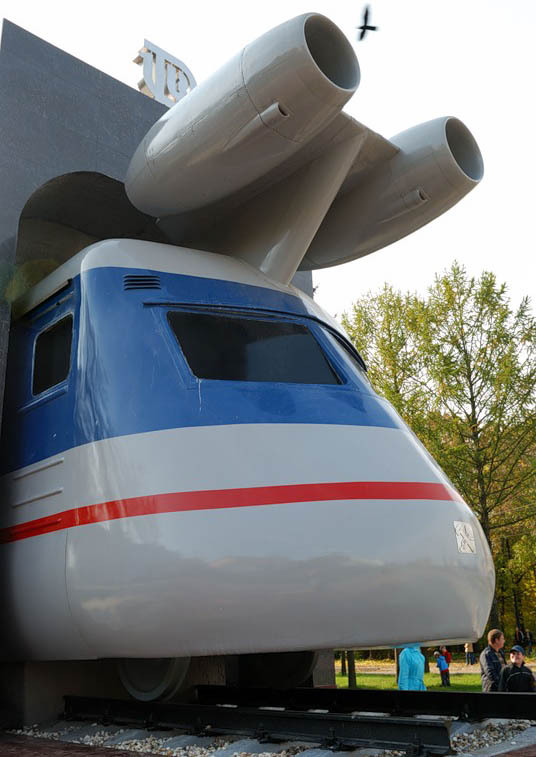 Here is a more recent image of Soviet jet train car, which was put up as a monument in a city of Tver. As I mentioned in the last post, these vehicles are also used for bio/chem/nuc decontamination. 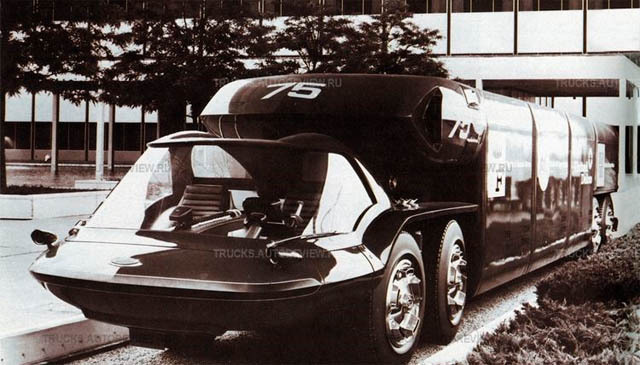 Just google "TMS-65"
So many childhood fantasies come amazingly true. I can't believe things this awesome have a place in the real world. Thanks for the excellent post. Actually, the M1 Abrams Tank is also driven by a turbine. The US military powers tanks, helicoptors, and various ships with jet turbines. the second one looks really phallic. 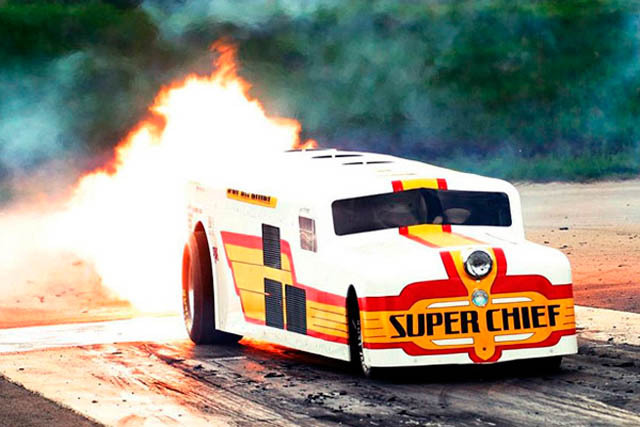 I was lucky enough to be right on the track, for some drag racing back in the eighties. Using years-old press passes my friend had, a group of us loaded cameras and empty camera cases around our necks and got full pit access. 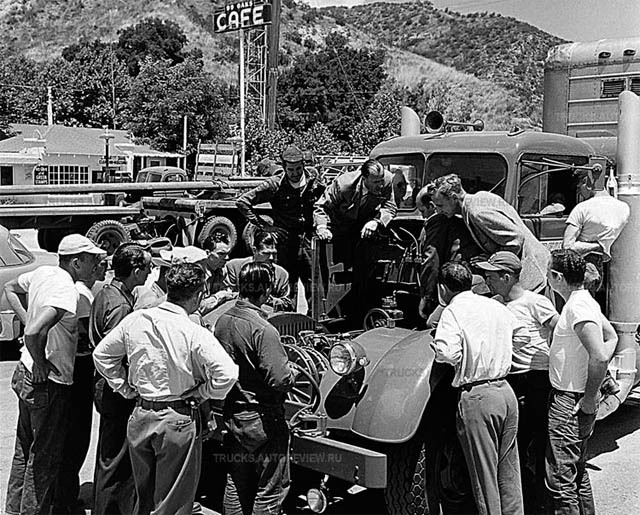 That night's theme, "jet cars under the stars," featured a truck cab with huge turbine engine like one you pictured. I'll never forget the high velocity air blast – or the taste of jet exhaust – as that thing launched. YeeeeeHaw!!! Amazing articles, amazing power, amazing. Wow but except for blowing snow we will all agree that this is not at all useful. I suppose also that it hurts the environment a lot. Let's keep everything real even when we want to amaze ourselves. Thank you. Gasturbines are great for various applications! Nevertheless, the fuel consumption is very guzzling. 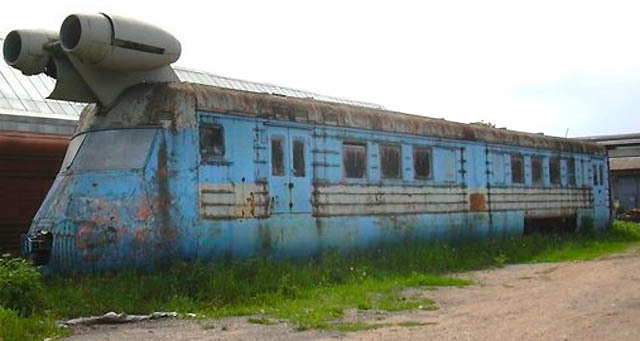 But the construction is very reliable. Anyway, great photos of some heavy machinery! Andy Granatelli had a 1967Studebaker STP Special in the Indy 500. Gas turbine engine. Driven by Parnelli Jones. Oh! 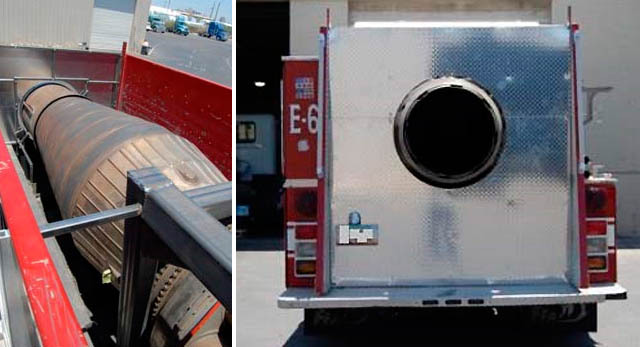 Yah, the fire engine companies should really think about this system. It may be costly but the job will get done for sure! Greyhound had turbine buses in the early 1970s. They were wonderful to ride in. But they didn't have the fuel economy of diesels and were doomed when the oil crunch hit in 1974. "Actually, the M1 Abrams Tank is also driven by a turbine." Yes, but not a jet engine turbine, smartass. 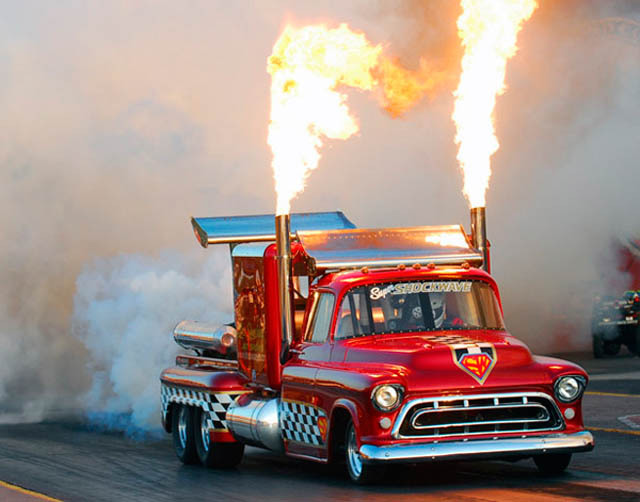 One of the toughest problems with jet engines is dealing with the very high temperature exhaust. In the picture above, you can see that the Kenworth truck exhaust pipe has melted the top left corner of the trailer it was hauling! Hilarious! the vent pipe points upwards and not at the trailer.